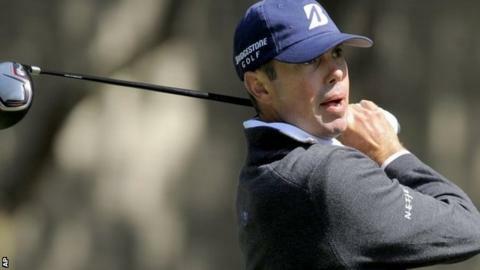 Matt Kuchar followed up his impressive finish at the Masters with a share of the first-round lead at the RBC Heritage tournament in South Carolina. Kuchar, who tied fourth at Augusta, shot a 66 to top the leaderboard with fellow Americans Scott Langley and William McGirt. Jordan Spieth, 20, who missed the chance to become the youngest winner of the Masters when he faded in the final round, fired a 69. Scot Russell Knox is the top European. Inverness-born Knox, 28, who lost in a play-off at the Honda Classic in March, dropped a shot at the last to join a pack including Speith on two under. England's Luke Donald finished well with four birdies in his last seven holes to sign for a one-under 70. Defending champion Graeme McDowell opened with a level-par 71.